Have you ever wondered if degraded forests can be restored by animal reintroductions? Worldwide we have been facing the reduction or extinction of animal populations and its cascading effects. This ongoing process was named “defaunation” and is mainly caused by human activities. 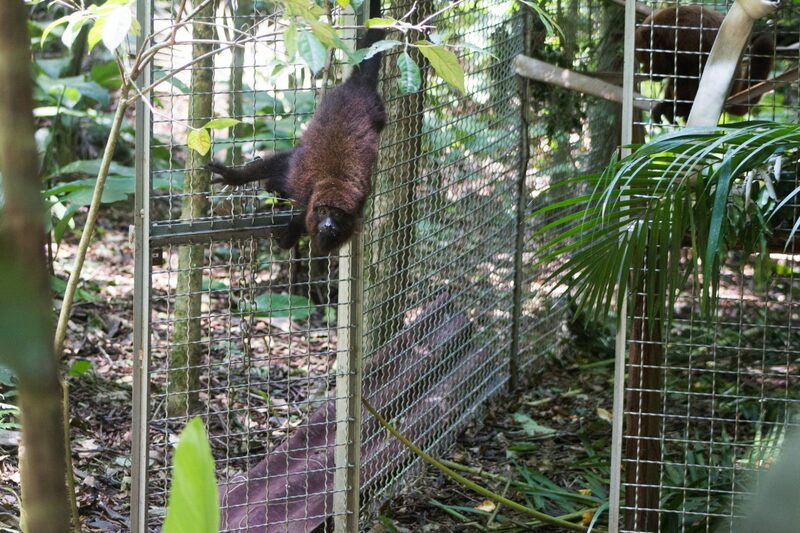 In tropical forests, it is be particularly pervasive because animals and plant communities are so intertwined. Most tropical trees rely on animals for their dispersal, which means that without the animals, the forest will hardly stand in the future. When animals are lost, the ecological interactions and processes they perform are also lost, affecting the system as a whole. Rewilding is deemed as an increasingly popular tool to reverse defaunation by restoring animal populations and lost plant-animal interactions and processes. However, the re-establishment of such processes is usually only assumed but seldom shown in the field. According to research led by scientists from Universidade Federal do Rio de Janeiro (UFRJ), Brazil, reintroduction of seed dispersers in tropical forests can restore ecological interactions and processes. 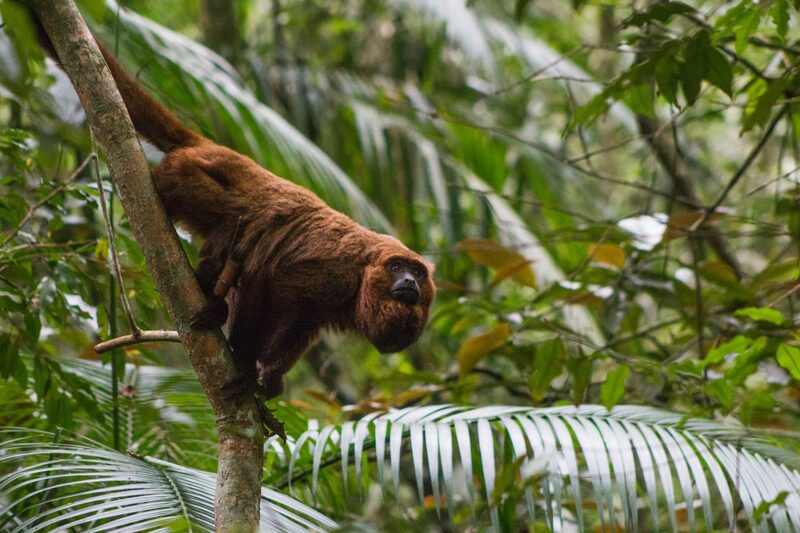 The study evaluated the reintroduction of howler monkeys (Alouatta guariba) to a defaunated Atlantic forest reserve in Rio de Janeiro and their results suggest reintroductions could be encouraged as a conservation strategy to reverse defaunation effects. 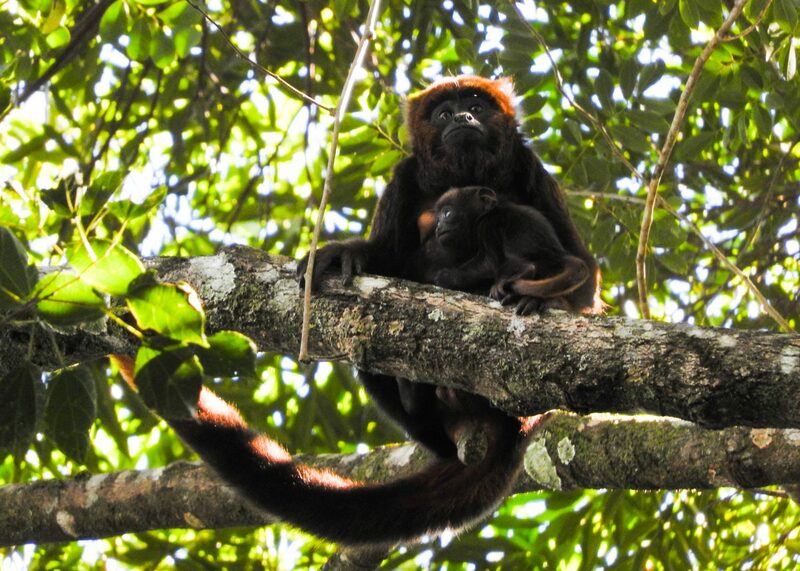 In the paper entitled “Effects of Howler monkey reintroduction on ecological interactions and processes”, published in Conservation Biology, the authors investigated the restoration of ecological interactions following the reintroduction of the brown howler monkey to a reserve in the Brazilian Atlantic forest. The park is one of the largest urban National Park in the world and lies within Rio de Janeiro city. It suffered from deforestation, but was reforested in the 19th century. The Park still lacks many components of its original fauna, such as medium and large sized frugivores and apex predators. An initiative called REFAUNA (lead by some of the authors) has been reintroducing species to test the restoration of ecological processes in the area since 2010. 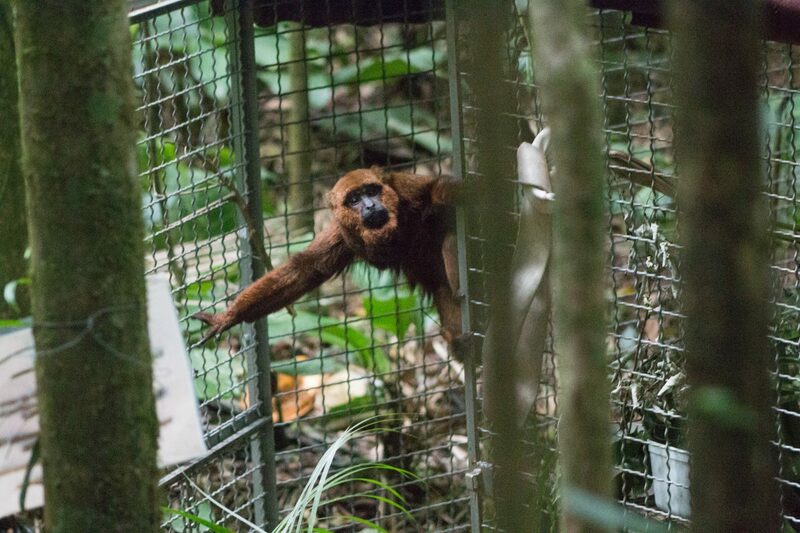 Prior to the first howler monkey release in 2015, the species had been locally extinct in the area for over a century. Using multiple approaches, such as following the monkeys to assess their diet, capturing dung beetles and assessing their secondary seed dispersal rates, the authors found that the reintroduction was successful in restoring a large part of the predicted ecological interactions. Moreover, even though the monkeys were locally extinct for long, many dung beetle species were captured in howlers feces, and secondarily moved seeds in the dung. 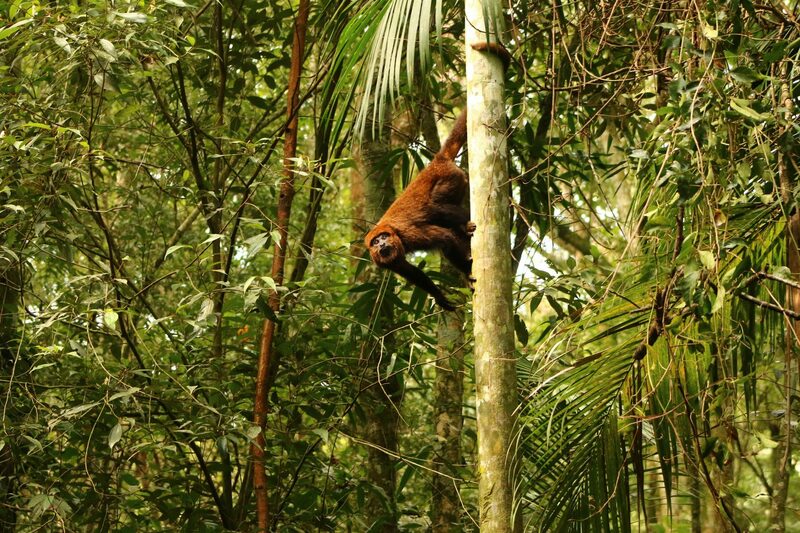 The authors also compared the potential impact the howlers could have in seed dispersal with other frugivores in the forest and found they can consume more large-seeded fruits than most other species. This means that due to the reintroduction, more plant species can be dispersed in the forest, which can have strong impacts for forest regeneration. This monitoring of ecological interactions carried out by the authors could be used in any other animal reintroduction, while assessing other parameters suggested by the IUCN, with little additional cost. In this study, the authors demonstrated that reintroductions can effectively restore ecological links. This suggests that animal reintroductions may be able to restore ecological processes in defaunated forests. Based on their results, reintroductions could be encouraged as a sound conservation strategy to reverse defaunation effects.